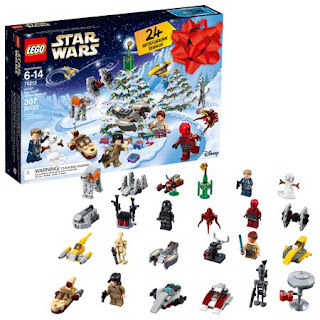 Walmart has the LEGO Star Wars 2018 Advent Calendar on sale for $33.99 (regularly $39.99). Each day in December to discover themed LEGO mini-figures, star ships, vehicles and other collectibles. When you've opened all the doors, there's even a foldout play mat with desert and ice-planet scenes for playing out epic Star Wars adventures.